Stimulated by the systematic delivery to academics of a cryptic book, Jon Ronson investigates the business of madness. 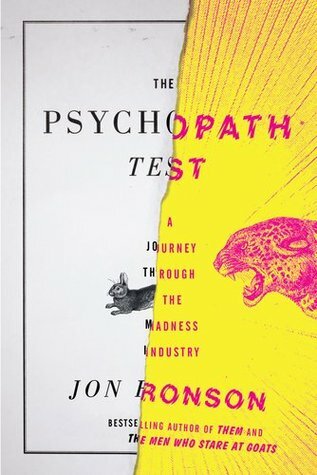 Encountering belligerent Scientologists, psychopaths and disgraced and acclaimed psychologists alike, Ronson finds himself empowered with the ultimate psychopath spotting gismo; the Psychopath Test. Ronson’s most engaging anecdotes are regurgitations of the work of others (the Rosenhan experiment being the best example), but he does enlighten the reader to the madness that is inherent in some systems of psychology, as well as its subjects. The Psychopath Test is an entertaining and didactic documentary collection of case studies that will both shock and amuse. Sulky drop-out Raskolnikov commits the harrowing murder of an elderly shopkeeper. Ostensibly to spare his virtuous sister the obligation to marry for money, Raskolnikov’s motives are grounded in ego and ennui. 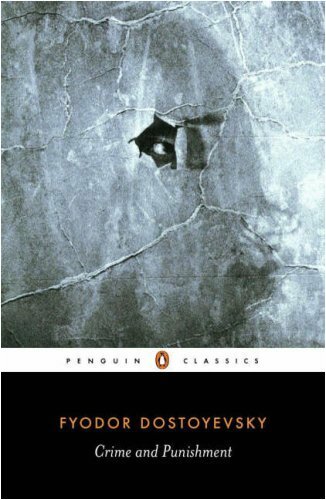 Dostoevsky’s tale is spun via the construct of conversation, which dismembers the narrative just as Raskolnikov’s mind unravels with self-doubt. The inconsistency of the murderer’s psyche gives the impression of multi-layering, which is buffered by manifold stories and the illusion of guilt over brooding. Watch as the arachnid character is funnelled into his own web, and wonder whether Raskolnikov believes his tangled yarn to involve either crime or punishment. This non-fiction work retells the early history of England’s first criminal lunatic asylum, Broadmoor. 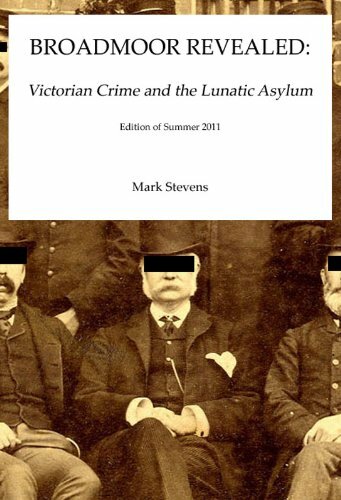 Using its recently released archives as source material, Stevens creates a complete picture of the institution within the Victorian period that includes portraits of its staff and (in)famous ‘guests’ as well as escape attempts, births and deaths, all of which occurred within the confines of this eminent and progressive component of the judicial system. Retold in a readable and engaging manner this unexpected gem is an eye opening quick read for anyone intrigued by mental health, criminology or the justice system. And if you own a kindle, it’s free! You are currently browsing entries tagged with Psychology at booksbeccabuys.